Have an iPhone, iPad or Mac application idea? We are experts in iPhone, iPad and Mac app development. Hire Us. We are helping with the development of Textie: Free and beautiful texting for iPhone, iPod touch, and iPad. We have helped several iPhone applications implement Push Notifications, including several high volume applications. We created the iPhone app for Fonolo, which helps users deal with voice menus. It won an award at GigaOm's Mobilize. We implemented a trivia game application for the iPhone for an entertainment company. We created an iPhone app for a political newspaper. Luis is a committer on TouchJSON, an open source framework for iPhone which lets developers translate JSON to Cocoa Touch and vice-versa. Luis helps to organize a local weekly gathering of Mac and iPhone Developers in the Washington DC area. Luis led the team of organizers for iPad DC, a local gathering of iPad developers in April 2010. We are maintaining and improving an existing Carbon application for Mac OS X for an enterprise software company. Luis has reviewed three Mac OS X and iPhone Development books for Pearson Education and Pragmatic Programmer. We implemented portions of a social networking iPhone app for Proximi, an iPhone software company best known for MagicPad. We created a Mac OS X app to upload captured web designs for Squared Eye. This was for their site PatternTap.com, which catalogs web design patterns. We improved an existing Cocoa application for a consulting company. Luis led the team of organizers for the Washington DC satellite of iPhoneDevCamp, happening in August 2009.
iPhone is the hottest mobile platform in the industry. iPad is the premier tablet. We can help you build a new native application for iPhone or port your existing mobile, web or desktop application to iPhone. Happy Apps is a Registered iOS Developer and provides custom iPhone & iPad application development. Mac OS X's market share has been increasing the past several years partly due to the iPod / iPhone halo effect. Mac users love to use native applications for their beloved platform. Happy Apps provides custom Mac OS X application development and has developed several native Mac OS X applications for clients. In addition, we have developed a commercial Mac OS X bookmarking application called WebnoteHappy. I hired Happy Apps to create a Mac OS X uploader application for Pattern Tap (patterntap.com), our online interface design inspiration tool. They helped me design the application and then rapidly built the app to my very detailed specifications. They were responsive to changes and made great suggestions for improvements. We couldn't be more happy with the results of working with Happy Apps and look forward to the next time. We are accepting limited engagements of Ruby on Rails web development projects. For example, creating web service APIs that are used in conjunction with iPhone and Mac OS X applications. We work remotely but we work closely with you. We work via email, Skype, instant messenger, desktop sharing and phone calls to make sure that we understand your needs and that you are always aware of how your project is proceeding. Luis de la Rosa [the founder of Happy Apps] was an integral member of the consulting team hired to undertake our company’s problem of outdated software. Due to the intricacies of the Surety industry, Luis took the initiative in learning the industry lingo, Generally Accepted Accounting Principals (GAAP), the necessary workflow this industry requires, and also helped mentor two up and coming in-house programmers with the Ruby code base. Luis displayed great leadership and confidence in his knowledge he gained over the course of 1 year with our project, which he used to assist newer programmers who joined later in the project. I firmly believe that without the Ruby knowledge and programming insight Luis brought to the table that we would still be in the documentation phase and still working with antiquated software. Consulting with an experienced Registered iOS & Mac Developer is critical to your success if you're building an application for iPhone, iPad or Mac. WWDC, Apple's World Wide Developer Conference, is a unique conference in the software industry. All material is under NDA that is never lifted. We have access to WWDC material from 2004, 2005, 2006, 2007, 2008, 2009 and 2010. We have attended WWDC in-person in 2005, 2006, 2007, 2008, 2009 and 2010. In addition, we help organize iOS development conferences in the Washington, DC area and attend various programming conferences around the United States. We are contributors to Touch Code, the winner of "Best Open Source Project" at iPhoneDevCamp 2. We have contributed to Firefox regarding Mac OS X compatibility. We previously have contributed to Streamlined. We practice Test-Driven Development to help ensure your software is built properly the first time and so that it can be enhanced in the future. We develop in short iterations to get software into your hands faster. We create Visual Prototypes to show you what your application will look like early in the process. Our experiences at XP/Agile Universe 2002 and XP/Agile Universe 2003 as well as working with other leading-edge software development firms have helped shape these practices. I hired Luis [the founder of Happy Apps] to enhance an existing Xcode project, and the results were great. Beyond the fact that his code 'worked', the classes and functions were well-organized and his comments were easy to understand. Luis is one of the most communicative, organized developers I've worked with-- before work began, he completed a detailed analyis of the existing source code with the exact level of a detail I needed. He finished the work within estimated time, and discovered some bugs and features I hadn't considered. Luis kept the existing code working as he developed, and kept me updated throughout the process. I'm looking forward to hiring him again for my next project. Objective-C is derived from Smalltalk and C. Smalltalk is also an ancestor of Java and Ruby. We have over 13 years of experience in these languages. Knowing each deepens our understanding and helps us understand the limitations and how to work around them. Cocoa is the main application framework for Mac OS X. Cocoa Touch is the main application framework for iPhone. We are experts in both. In addition, we are also experts in Ruby on Rails, which can be used to build Web Service API back-ends. We are part of a few groups of Mac OS X and iPhone developers. We also regularly attend and helped organize NSCoderNight DC, a weekly group of Cocoa programmers in the Washington DC area. Mac OS X and iPhone applications usually exhibit a greater sense of style and aesthetics. We have relationships with graphic designers who understand what Mac and iPhone users expect. We built and shipped Webnote, a bookmark manager for Mac OS X. We have helped other clients ship their products. This helps us understand what obstacles you will need to overcome and milestones you will need to reach with your products. The App Store presents a unique set of difficulties which we can help you navigate. In a seemingly endless landscape of mediocre and unreliable mobile developers, I have had the privilege and good fortune of working with a true star. Luis de la Rosa of Happy Apps is the full package and then some. Responsible, technically gifted, enormously friendly and endlessly gracious, Luis was finally the answer I was looking for for my development needs. Luis delivered an app that required virtually no debugging, was on time, on budget, and with extra functionality thrown in for good measure. He was always reachable (something I didn't find with other devs), helped me figure out design problems, and continued to both support and advise me throughout the release process. The world of contract development is fraught with pitfalls and agents that leave much to be desired. I'm delighted to say I don't have to deal with any of that anymore thanks to Luis. I intend to continue my relationship with Happy Apps and will absolutely be using them for my follow up work. I would recommend them unequivocally for any of your future projects! 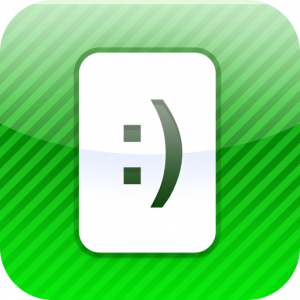 Contact us today via email at info@happyapps.com to get started on your iPhone, iPad or Mac application.